SAVE ON FUEL, MAINTENANCE AND MORE! Unlike any other APU on the market, all HP2000 unit use a high-efficiency heat pump system. This system allows us to both heat and cool with half the components of traditional APU systems. This relates to a lower cost for you, the customer, but also a much lower failure rate. 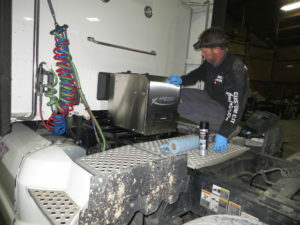 A larger than necessary cooling system in the summer in addition to utilizing excess engine heat in the winter means our APU is able to heat and cool in the most extreme of conditions! 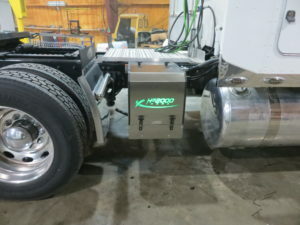 Unlike our competitors, our APU’s incorporate an alternator/inverter combination to provide high-quality AC power. 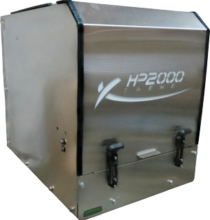 Without a generator head, the HP2000 is in some cases over 200lbs lighter than other APUs on the market. In addition, our engine is able to run a very low 1800 RPM which in turn provides exceptional fuel economy and smooth, quiet operation.